Making your own tzatziki is really fun and I love the ability to customize according to taste…which storebought just doesn’t do. I’ve mentioned my love affair with garlic, well I like my tzatziki to reflect that. Perhaps you like a fresher more lemony taste to yours? Or perhaps a different texture? Go nuts there are so many ways to enjoy tzatziki! My favourite? On a ham sandwich instead of mayo. Num! With all the Mediterranean dips I’ve been working on my summer evening Mediterranean al fresco dinning experience is getting closer and closer! I can’t wait! 1 small cucumber peeled, seeded, finely grated, and squeezed dry. Combine the ingredients in a small bowl and allow to sit for atleast 2 hours. Overnight is best! Serves four generously (about 1/4 cup). Each serving contains 45 calories, .2 gram of fat, 7.3 grams of carbs, 3.9 grams of protein, and .4 gram of fibre. Great on falafel! 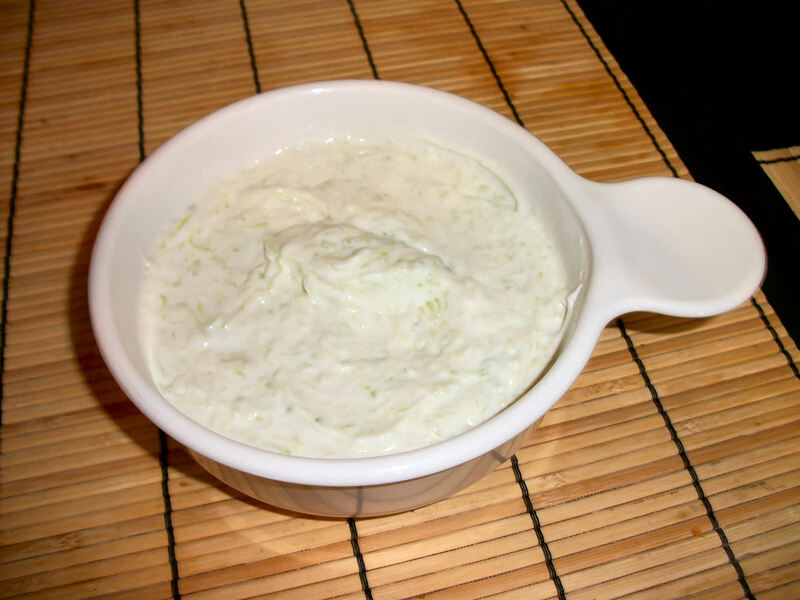 This entry was posted in Sidedish, Snack and tagged cucumber, Dip, Garlic, Lemon, vegetarian, yogurt. Bookmark the permalink.